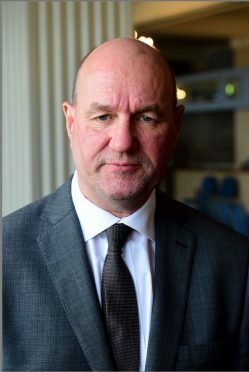 The embattled council director in charge of Aberdeen’s scandal-hit crematorium has been signed off sick. Pete Leonard, the local authority’s infrastructure director, was due to return to work today after a period of annual leave. A probe by Dame Elish Angiolini revealed ashes of infants and adults were routinely mixed at the Hazlehead crematorium with the ashes not returned to grieving parents. Mr Leonard was heavily criticised in her report over his comments about “slow cooking” of babies at the council-run facility. He had originally been due to return from holiday on August 15, but failed to appear at a crunch meeting where councillors discussed the council’s own independent investigation into the scandal. Distraught families affected by the scandal said his no show at last month’s meeting was “out of order” at the time. However, it has now emerged he was given another week of holiday time, but has since had a sick line signed off by council bosses. It is understood that city centre masterplan director Mark Cole will stand in for Mr Leonard, supported by economic development head Richard Sweetham, during his sickness absence. Meanwhile, it has emerged that a joint letter from council leader Jenny Laing and chief executive Angela Scott has been circulated to all the authority’s staff on the impact of the probe. The correspondence, seen by the P&J, reads: “The report of the National Cremation Investigation shone a harsh and unforgiving light on how part of the council used to work, casting a shadow over our reputation and damaging our standing with the people we serve.